We endeavour to make the lessons affordable and great value for money. Unlike some clubs we do not charge a registration fee. Lessons are £6.25 for the hour and are paid on a half termly basis… For example if the term is 6 weeks in length…. in this case payment would be 6 x £6.25 = £37.50. In the first term we will refund any lessons your child does not take if they decide not to continue. Our aim is to keep parent/student expenditure to a minimum. 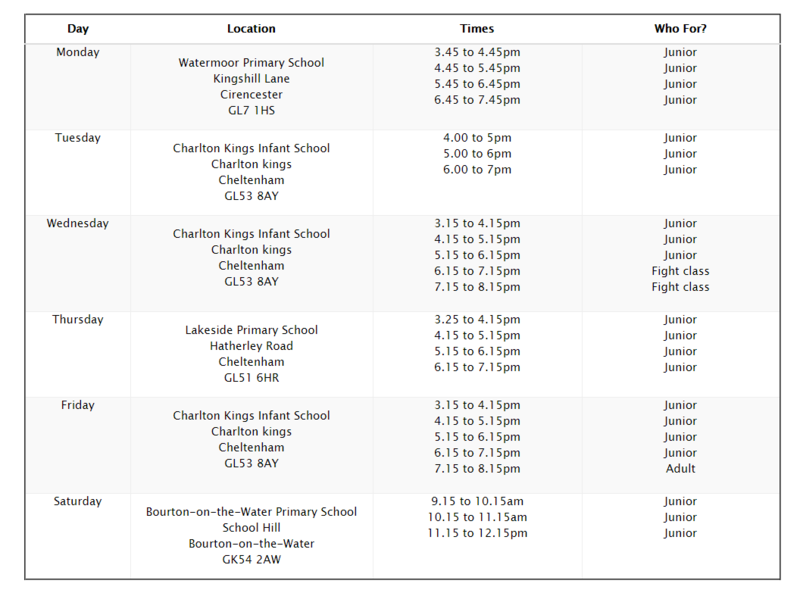 Gradings: Take place 3 times a year…£25 for juniors and £30 for adults. A student will usually only do 1 grading a year. Uniform (Gi): ranging from £40 to £49 (depending on size). Leg and hand mitts: £20 for the set. Membership: £25 for the year. Seminar: Take place 3 times a year…..£12 for juniors and £15 for adults. Competitions: Take place twice a year: £12 junior and £15 adults. There are 4 ways that you can pay: cash, cheque, Bacs or direct debit. Is Ju Jutsu an Effective Form of Self Defence? Ju Jutsu is regarded by many as the most rounded of the martial arts as it combines: striking, throwing and ground skills. It is used extensively by the Police, Prison Service and the Armed Forces. Ju Jutsu is suitable for all children (5 years +). All techniques are taught in a structured and well balanced manner. The heart of our teaching is self discipline. Students are encouraged & motivated to reach their potential. Students build their confidence, awareness to learn and are encouraged to interact within the group. We have developed a detailed and up to date syllabus for both juniors and adults. All the techniques are built upon one another and link together in a practical manner. We believe we have the most cutting edge belt system in the UK. Can My Child Train More Than Once A Week? We suggest that your child starts their training once a week. Once they start to move up the belts and gain confidence & knowledge they may want to increase their training. There are regular ‘points scoring’ competitions that allow students to practice their Ju Jutsu skills in a safe but challenging environment. Can I Pop In And View A Class? We actively encourage people to come and see what we do. No need to book….just turn up and we will give you a big friendly welcome. We always encourage students to attend extra lessons and events as these will support students to gain the necessary skills when progressing through the belt system. From yellow belt onwards we have a simple points system that recognises student commitment outside of their normal classes. ?For example, orange belt need 5 points which can be achieved through attending just 2 extra events. Seminars are special lessons that are held locally & nationally. They take place 3 or 4 times a year and are invaluable to the students as they broaden their appreciation of all aspects of the Ju Jutsu art. All our instructors at the club have the relevant coaching qualifications with Andy Privett (senior instructor) being a fully qualified PE teacher. All coaches are first aid trained and DBS (police) checked. How Do I Find A Class Local To Me? Each week we host 24 classes across 4 different Venues.